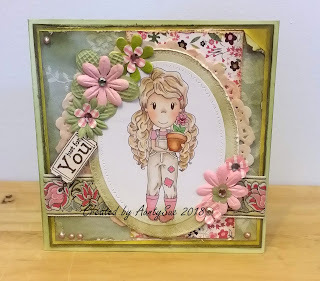 Karen here from Craftily Yours, providing some inspiration for you to enter this month's challenge! 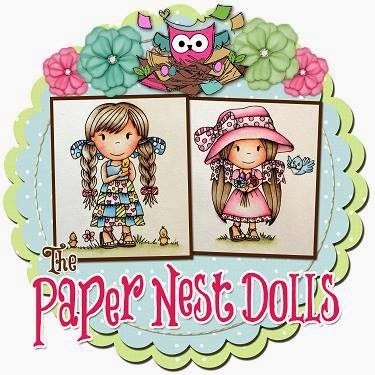 I love coloring the Paper Nest Dolls adorable images! I'm providing inspiration for this month's challenge using the sweet Goth Savannah digital stamp. 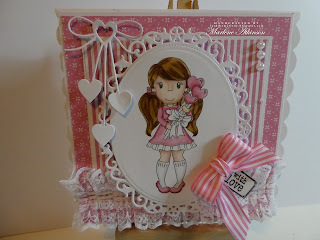 More details on other products I used can be found on my blog. Today I want to share a card with you that I made using the image Little Chick Avery. I colored this image using my Prismacolor pencils and did some die cuts. 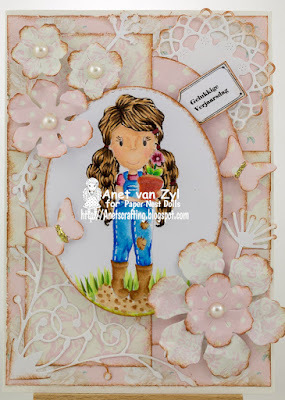 I used some pretty flowers I made from card stock and add pretty gems to the center. 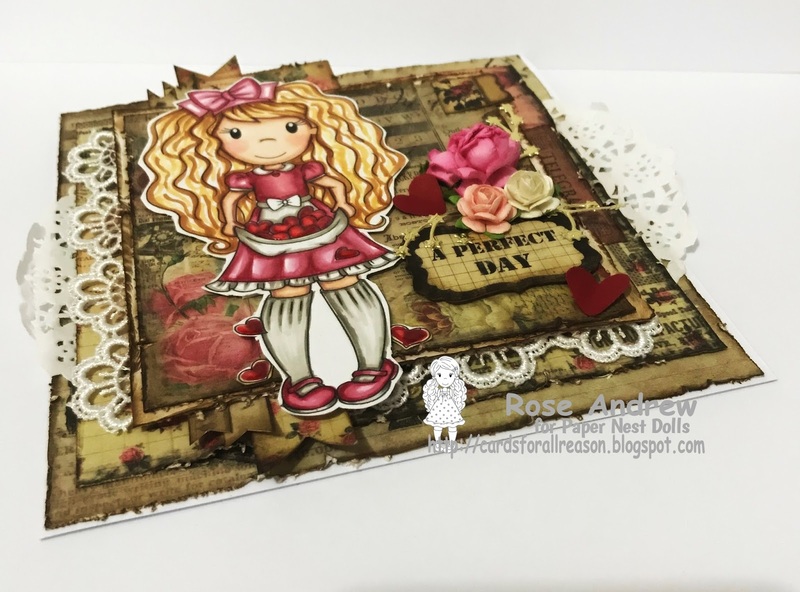 Paper Nest Dolls Design Team!! for rules and join in the FUN. I have exciting news to share today!! 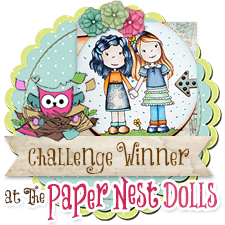 I am joining The Paper Nest Dolls Challenge design team! Today is my first post as a design team member, how fun!! 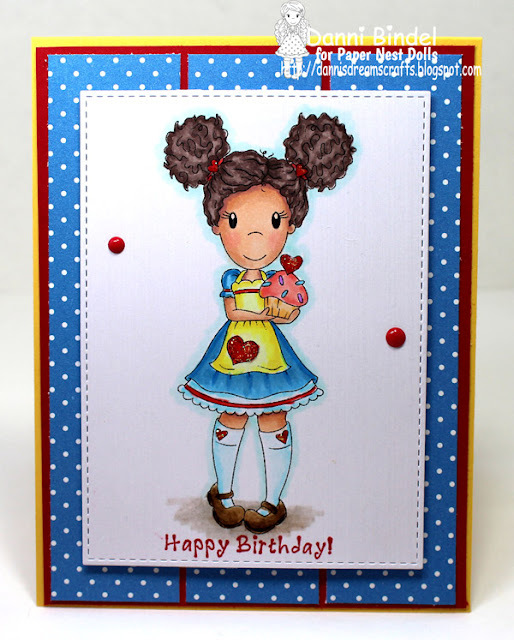 Even though I rarely get a birthday card out on time they are always good to have on hand! I think Cupcake Amara is just too adorable so I colored her up for today's card! 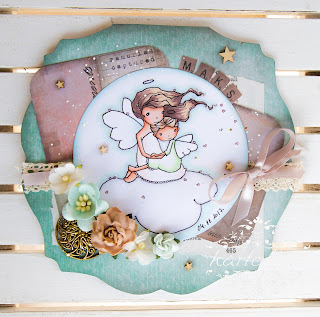 I'd love to see you join in the monthly challenge that is going on now! Anything Goes~ easy peasy! 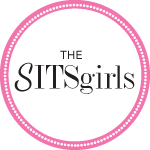 Click HERE to go to the challenge and be sure to check out the rules in the sidebar. How are you all doing ... ! she is so gorgeous ..
January flew by and we already have our first monthly winners for 2018! 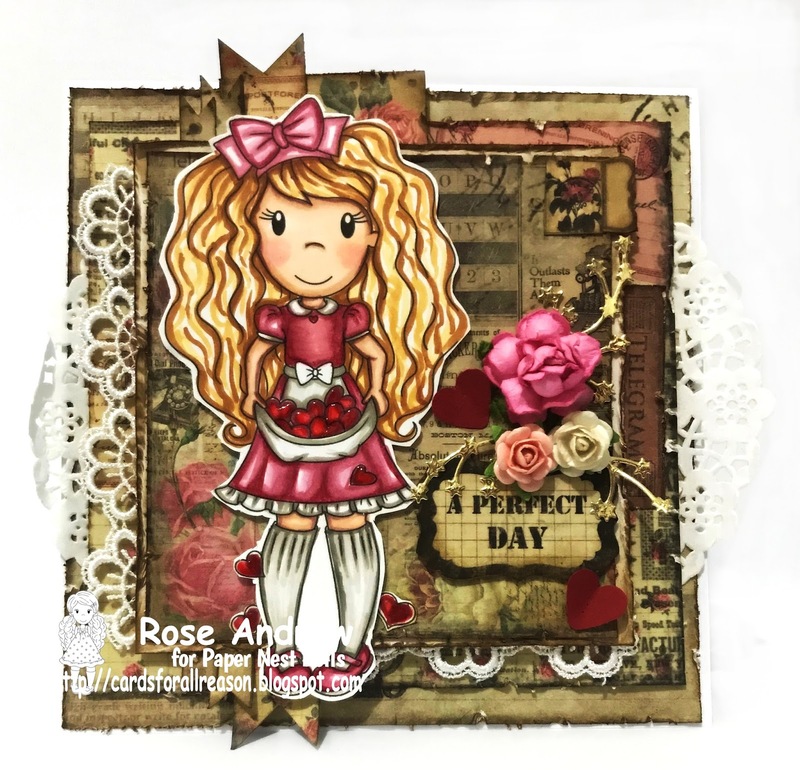 We had gorgeous entries, so let's choose our winners! !